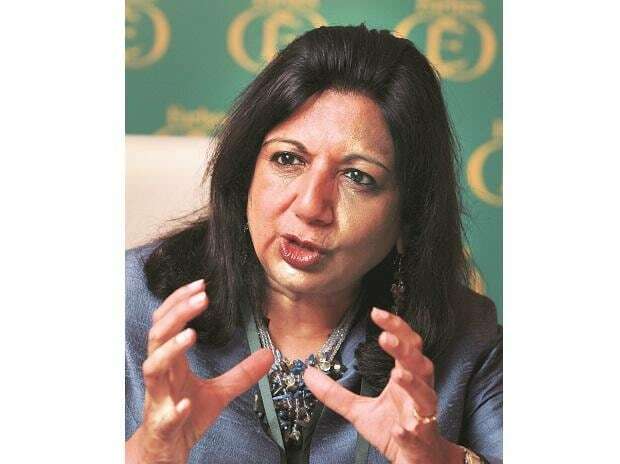 The country’s second-largest information technology (IT) services company, Infosys, has imposed a penalty of Rs 9.5 lakh on its lead independent director, Kiran Mazumdar-Shaw, for inadvertently selling 1,600 shares of the company during open trading window period without prior permission to execute such a trade. In a filing to the exchanges, the IT firm said even though the trade was carried out by the portfolio manager without the knowledge of Mazumdar-Shaw, there was violation of the company’s Insider Trading Policy and the Sebi (Prohibition of Insider Trading) Regulations, 2015. “The trade was carried out by the portfolio manager without the knowledge of Mazumdar-Shaw. In this case, she had given no instruction to conduct the trade and she also had no knowledge of the trade having occurred. The portfolio manager unilaterally took the decision to conduct the trade,” the company said in a filing. According to the company, the matter was brought to the notice of Infosys’ compliance officer on February 13, following which it was examined by its audit committee with submission from Mazumdar-Shaw. The audit committee came to the conclusion that the trade was an inadvertent one without any intention to violate the insider trading norms. However, the committee penalised its lead independent director for breach of regulations. The penalty collected from Mazumdar-Shaw will be donated to a charitable organisation of her choice. According to corporate governance experts, key management personnel and directors have to take prior permission from the company before executing any trade in its shares during market hours. “Directors have to submit a trading plan to the company and take prior permission before executing such trade. In this case, the move is to self-censure and give a message that the company is in compliance with all regulations,” said Shriram Subramanian, founder of corporate governance advisory firm InGovern.